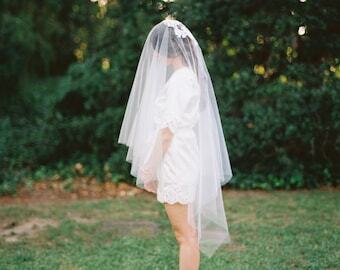 Poppy is a Folded Mantilla Drop Veil, its a single piece of tulle folded to measure 75 inches in the back and 28 inches in the front . There is a silver metal comb hand stitched to it to hold it in place in just about any hair style. 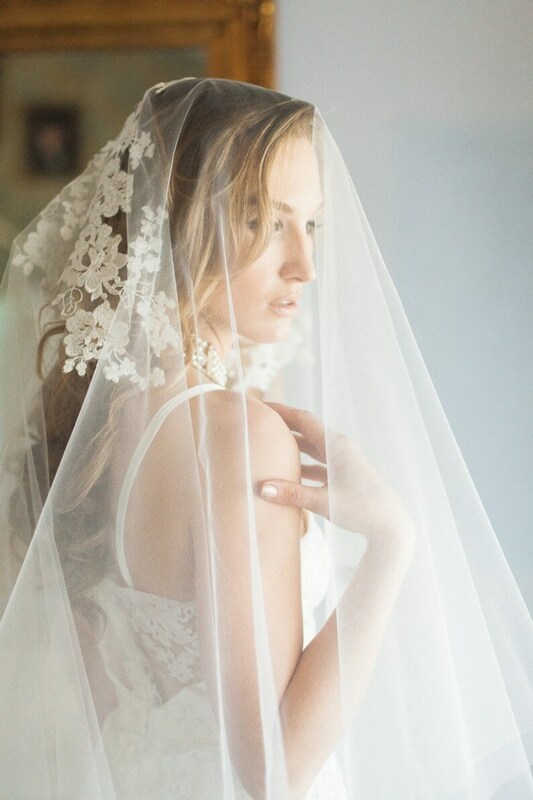 This veil can be worn draped over your head, once you lift the blusher away from your face, the appliques can perfectly be seen underneath the sheerness of the tulle!